The organisers of Etisalat-DigitalSENSE students essay contest on Internet Governance for Development (IG4D), the DigitalSENSE Africa (DSA) Media Group, has named Odonoekuma Onyebuchi Ekuma as the star prize winner for the 2016 edition, which is on Season 2, reports ITRealms. 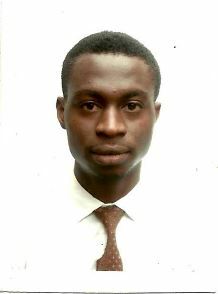 The Executive Director, Operations at DigitalSENSE Africa (DSA) Media Group, Nkemdilim Nweke, disclosed this in Lagos, and said that the 2016 theme was on ‘Internet Governance: Creating Opportunities for All Nigerians’ which saw Odonoekuma Onyebuchi Ekuma, a fourth-year medical student at the University of Nigeria, Nsukka (UNN), Enugu State, emerging top. Also, she revealed that Henry Monday Oguns, a five-hundred level Petrochemical Engineering student of the University of Benin, Edo State, and Egwe Tochukwu Christopher, a fourth year Law student of the Nnamdi Azikiwe University, Awka-Anambra State, taking the second and third positions, respectively. Mrs. Nweke equally said that the finalists will in the coming week receive their prizes which include a Laptop, Tablet and smart phone with data for the trio. She stressed that the essay competition is aimed at encouraging creativity and discourse on Internet Governance for Development (IG4D) by Nigerian youths, especially the students. Mrs. Nweke explained that participating students were mostly between the ages of 18 and 30, pointing out that the competition sponsored by Etisalat Nigeria is organised by DigitalSENSE Africa Media, the publishers of international award winning DigitalSENSE Business News, ITRealms and NaijaAgroNet; is part of the annual Nigeria DigitalSENSE Forum on IG4D and Nigeria IPv6 Roundtable. Odonoekuma also advised Nigerian youth, saying that the Internet holds the key to virtually every progress in life, stressing that the Internet provides the connectivity that yields efficiencies to employment creation, healthcare delivery, economic development and indeed all sectors of life. Nigerian Youths, Egwe said, should seize this rare opportunity to connect with those positive opportunities, persons, and communities to name a few, which will help in projecting their life’s aspirations. Pix: Star prize winner 2016 Etisalat-DigitalSENSE Students Essay, Odonoekuma Onyebuchi Ekuma.